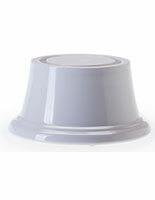 Whether you're serving cake at a formal banquet or a party at home, you'll want to use cake risers. These unique pedestals raise baked desserts up off the table or counter. Positioning your cake on a riser will attract more attention to it while setting it apart from other treats. 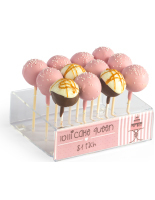 Home chefs and professional caterers alike take advantage of this when they set out buffets and dessert bars. The craftiest bakers use cake risers to double as centerpieces on banquet or wedding reception tables. Using a cake as a centerpiece works extremely well when the cakes are elegantly decorated and are every bit as artistic as they are delicious. 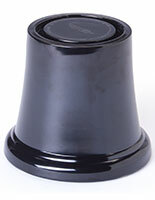 Our collection of cake bases and risers features many designs. 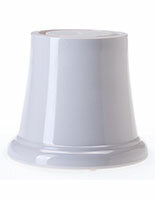 Some include dome tops, while others include just the pedestals. 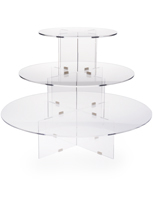 Be ready for your next event and purchase a cake riser from Displays2go today!